Do you want to run with the bulls? Now's your chance! The Buddy 50 Pamplona whisks you away to that famed Spanish city. 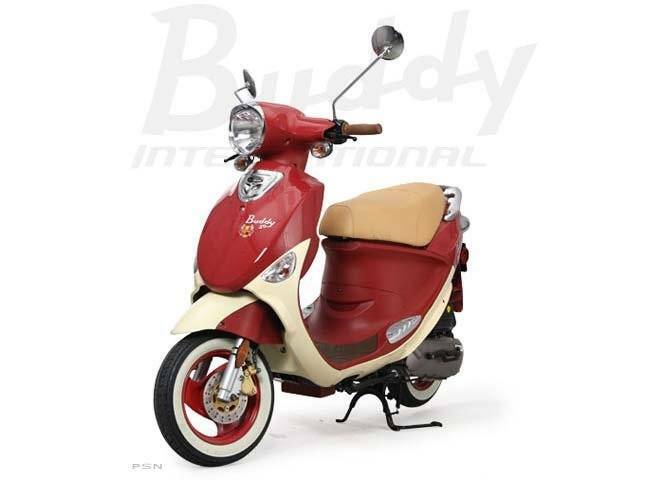 The eye-catching Burgundy / Crème paint job will look amazing parked outside your favorite tapas restaurant. Whitewalls complete the visuals while the Stebel air horn will definitely grab people's attention. White pants and red sash not included.